Expunge Oklahoma criminal records, only $499 attorney fee! 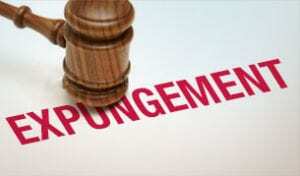 Do you need an Expungement in the Oklahoma City area? Do you have a criminal record that is keeping you from getting a job, getting enrolled in college or is otherwise keeping you from being more successful? Are you tired of having your privacy invaded? You may be eligible for a full expungement of your criminal record. Once your case is expunged, you can legally deny it ever happened. What types of records can you expunge in Oklahoma? If you have questions about which category your case is in, just fill out the form above and we will get back with you immediately and explain how we can expunge your case. Our fee of $499 includes all legal services necessary to get your case expunged. There are also court filing fees and other costs charged by the government, which we explain below. We charge $499 for uncontested expungements in nearby counties surrounding the OKC Metro Area. For counties outside of our area, our fees start at $750. We still usually beat prices of other lawyers, including many local lawyers in their own rural county. Most expungements are uncontested. If you eligible under the statute, there is a good chance that once we file your case, the State, Prosecutors, and Law Enforcement agencies will agree to the expungement. In some cases, usually cases that involve complex questions of law or fact, the State will contest your expungement, which will require additional briefs and hearings. In these types of cases, we charge $499, plus an additional retainer. We are usually able to predict this ahead of time during the initial consultation. The only other times this happens is if the client does not give us all information about their prior conviction history in other states. If you would like a free quote, please complete the form. What are the filing fees for an Expungement in Oklahoma? There are at least three types of costs in a typical expungement case. As of 2017, the filing fee in Oklahoma County is $154.14. This fee is paid directly to the Court Clerk in order to file your petition for expungement and get a hearing in front of a judge. The Oklahoma State Bureau of Investigation (OSBI) is a state agency that collects data on arrests and criminal charges, around the entire state. If you are arrested, the arresting agency generally sends your information to OSBI, and OSBI keeps a catalog on you. (Sometimes, the police agency or sheriff’s office forgets to send your file to OSBI, and therefore OSBI won’t have a record on you, but the local authorities will still have their records). After your case is successfully expunged in Court, we must send a certified copy of that Court Order to all agencies that have records on you, including OSBI. OSBI charges an administrative fee of $150 to formally expunge your record. = $810.00 total, (attorney’s fee plus all costs). If the Oklahoma City Police were involved in your case, then you add $150 to that, because the City of Oklahoma City charges an administrative fee of $150 to process OSBI (they have basically copied what OSBI does and they have passed an ordinance to allow this). How much do other Attorneys charge for Expungements in Oklahoma? Most attorneys in Oklahoma charge over $1000 to file an expungement! In fact, it is not uncommon for many of our peers in the legal profession to charge between $1200 to $1500 for a simple expungement. And these fees do not include any of the filling fees. If you browse the internet, you will find many attorneys who claim to do affordable expungements, yet they do not advertise the price. Some will even say they charge flat fees, instead of hourly rates, yet they still will not disclose what the flat fee is until you arrive at their office. Why don’t they price advertise? Because they charge a lot of money! Think about it. If your service is really expensive, you will probably not attract customers based on price, so you advertise other reasons to hire you, such as past experience, or familiarity with the law. But these things are a prerequisite to being a competent expungement lawyer anyway. Because we believe in affordable prices and access to justice. And because most expungements are not that complicated. We believe that most lawyers are overpriced and charge too much for services like expungements. Our fee is designed to compensate us for our time involved in screening the client’s case, preparing the proper documents, circulating the documents to all parties including the court and all law enforcement agencies; our appearance before the judge at the final hearing, and our work after the expungement in sending the court’s order to all agencies. Have questions about your criminal/arrest record? Just complete the form above and we will be happy to answer all of your questions.